If you are looking for a used Toyota Rav4 in North Bay, Ontario, Sudbury and surrounding area, the Kia of North Bay sales team will be able to satisfy your needs. Kia of North Bay often has a great selection of pre-owned Toyota Rav4 in stock and add to the vehicle inventory daily. At Kia of North Bay we proudly sell and service used Toyota Rav4 to customers from North Bay, Ontario, Sudbury, Huntsville, Temiskaming Shores, Nipissing, Timmins, Mattawa, Blind River, Pembroke, Parry Sound and surrounding areas. All-new for 2016 the Toyota RAV4 Hybrid with Hybrid Synergy Drive includes many outstanding features that make it a useful family vehicle. 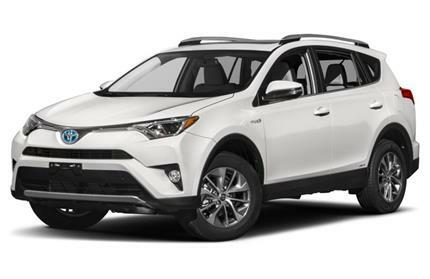 The all-wheel drive RAV4 Hybrid seats five and is a four-door, compact sport utility vehicle, available in two trim levels: XLE and Limited. Both trims include a 2.5-liter inline-4 together with an electric motor for a combined total of 194-hp. An electronically controlled CVT-i transmission is standard. Standard on both trims is an anti-theft system, driver knee airbag, passenger seat cushion airbag, automatic dual-zone air conditioning, alloy wheels, power liftgate, projector headlamps, and moonroof. Available features include LED headlamps, heated power seats, Entune audio system, and Toyotas new TSS-P safety system. The Toyota RAV4 Hybrid is all-new for 2016. Source: Chrome Data.